When we say our Green tariffs offer 100% renewable electricity, we mean it. The sun might not always be shining, but no matter what the weather or time of day, we guarantee green. Simple. We invest in a range of renewable technologies that complement each other. Our main source is solar, but we've invested in anaerobic digestion, wind, and other renewables, too. Solar is working really well for us – as of December 2017, we have 8 solar farms dedicated to supplying us with energy, and we’ve invested in another 109, which supply us and a number of other energy companies. The only downside is that when the sun sets, the panels stop generating. So, to keep those renewable electrons whizzing into customers' homes and businesses, we've taken on 6 anaerobic digestion sites. Anaerobic digestion (AD) uses the gas from decomposing organic matter to power generators or turn turbines that generate electricity. The gas is primarily made of methane, which has far greater warming potential than CO². So although burning the gas releases some CO², it's better than allowing the gas to escape into the atmosphere. Also, by using AD we avoid using fossil fuels – so the system is renewable. 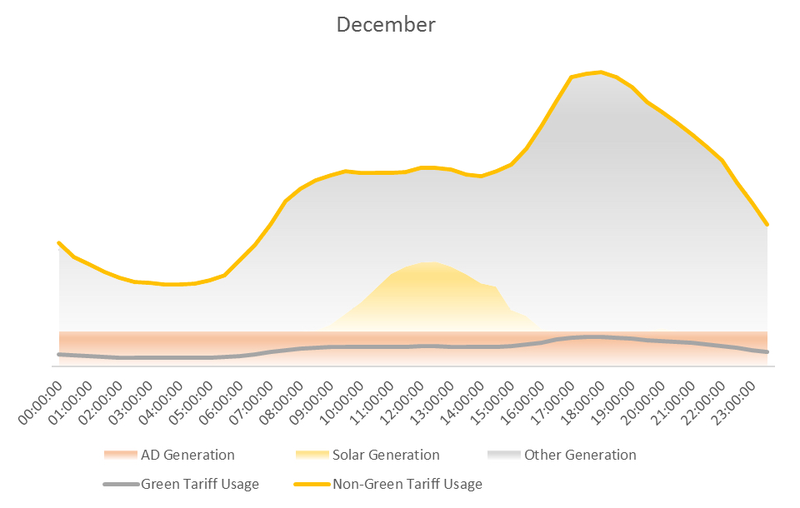 The great thing about AD is that it generates energy all year round, 24 hours a day (with a little outage for maintenance), so it's the perfect back-up for our solar network. With solar and anaerobic digestion, we generate more than enough electricity for all of our Green and Super Green customers – they even help meet our Fixed and Flexible 50% renewable target. (Update May 2018: All our tariffs are now 100% renewable electricity) Better yet – during peak output, we supply ALL of our customers with green energy, regardless of their chosen plan. Sound too good to be true? Just take a look at these quarterly snapshots. Each shows the average generation over a 24 hour period against our customers' energy needs. The results might surprise you! First up is March. Early spring. The dark grey line near the bottom is the amount of energy our Green customers typically use. The orange line fluctuating near the middle is what our other customers use. 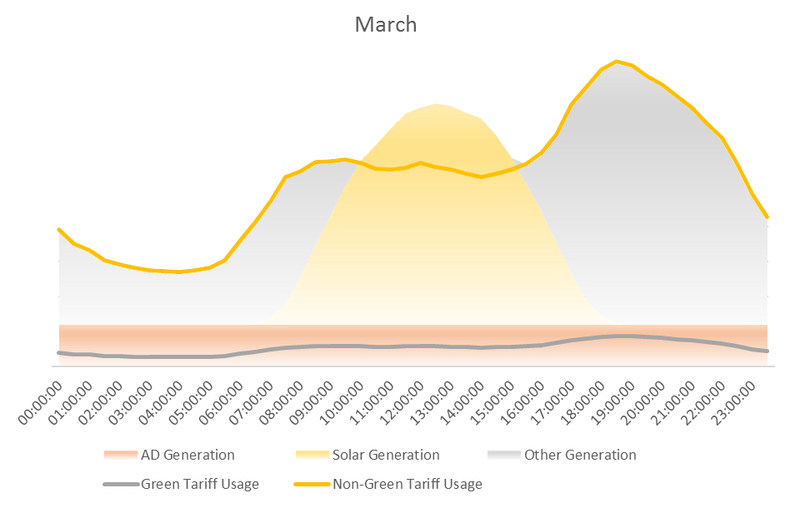 As you can see, anaerobic digestion (AD) and solar generate more than enough electricity for our Green customers over the full 24 hour period. 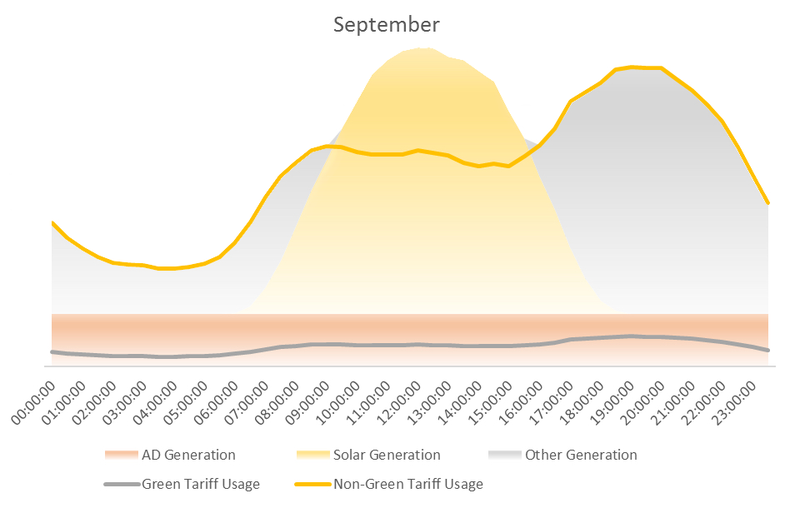 And between 9.30 am and 3.30 pm, we generate enough for our non-Green customers, too – with some left over to sell back to the National Grid between 10 am and 4 pm. Here's June. The middle of summer. As expected, we create a lot of solar power – with our AD generation we can supply ALL our customers' energy from around 6.30 am until 5 pm. 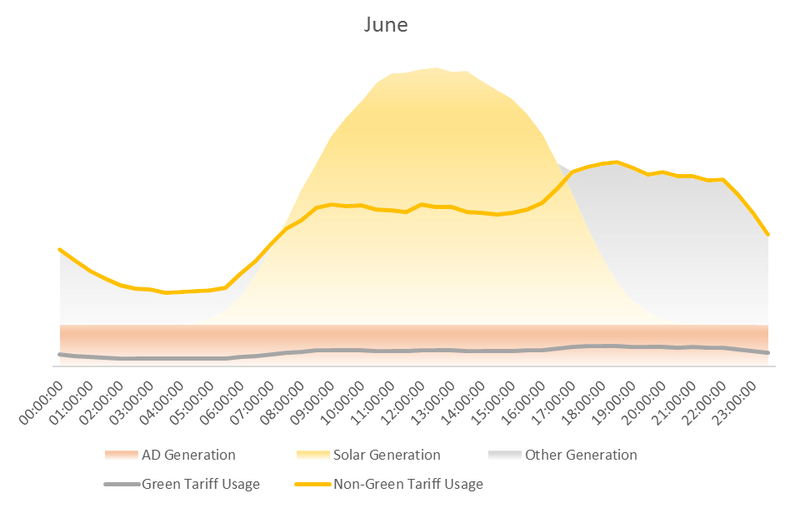 We also sell a considerable amount back to the Grid during this time – almost half of our total renewable generation. Outside of these hours, our AD keeps those renewable electrons flowing for our Green customers. 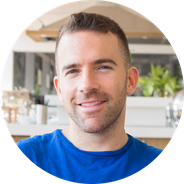 While it's true that demand is typically lower during this time of year, we believe supplying all our customers with green energy for half of the day is a great place to be. Now September. The days are getting shorter and demand is higher. But it can also be quite sunny. We're still supplying 100% green energy for all our Green customers, and between about 9 am and 4 pm, our other customers, too (with some excess sold back to the Grid). Finally, we get to December. The nights have drawn in, the heating's on, and we're looking forward to family gatherings and Christmas treats. Even at this time – when it's cold, grey, and rainy (or snowy) – we can supply all our Green customers with renewable energy. We don't generate as much in December for our non-Green customers, but this will pick up again as the days lengthen. So, there you have it. By investing in a wide range of renewables (specifically solar and anaerobic digestion), we generate a consistent supply of green energy – be it day, night, or the depths of winter.